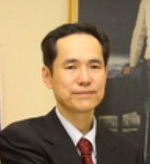 Keiichi Kaneko is a Professor at Tokyo University of Agriculture and Technology. His main research areas are functional programming, parallel and distributed computation, partial evaluation, dependable systems, interconnection networks, graph theory, and pedagogical systems. He recieved the B.E., M.E., and Ph.D. degrees from the University of Tokyo in 1985, 1987, and 1994, respectively. He is a member of IEEE CS, ACM, IEICE, IPSJ, and JSSST.